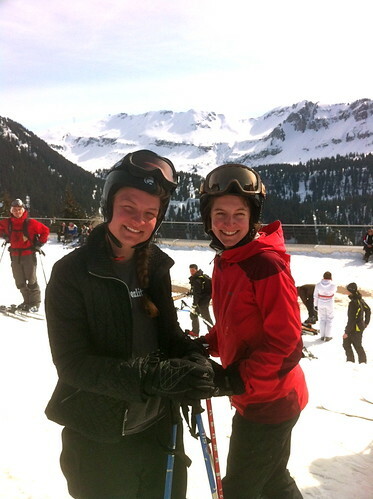 Making Room: Our Life in Sicily: Skiing in France! While this blog was so quiet last week, we were very busy. 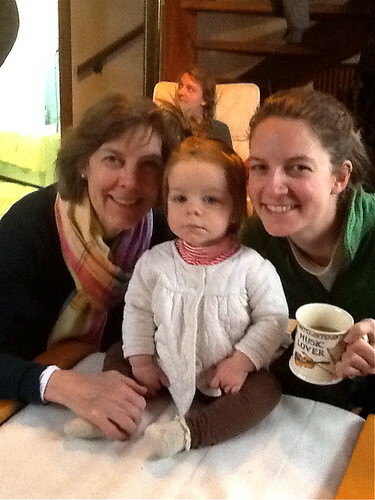 My family met Elliott, Lena, and me in France for a week-long ski trip! All the credit goes to the guy in red fleece in the photo below, our dear friend Daniel Roe. 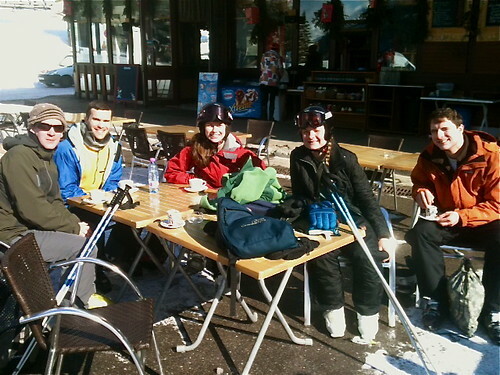 Daniel went to school in England and took up skiing in the French Alps each winter with groups of friends. 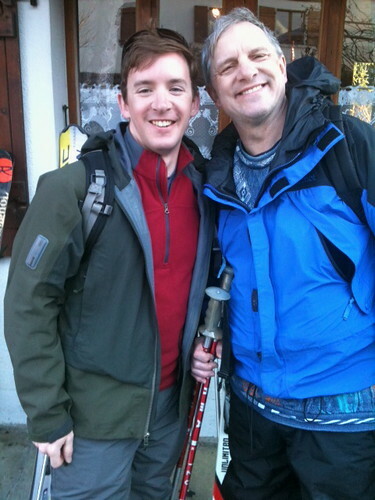 Daniel's been telling us for years that we need to take advantage of his sweet connections and please come skiing with him. Finally he convinced us... and now the only thing we can't figure out is what took us so long to get there. Daniel's friend let us use his ski chalet, a cozy little cabin located just a stone's throw from a ski lift in the Grand Massif ski area. 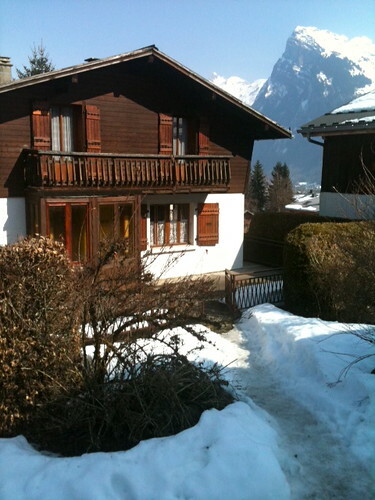 We were about an hour from Geneva and completely surrounded by the magnificent French Alps. 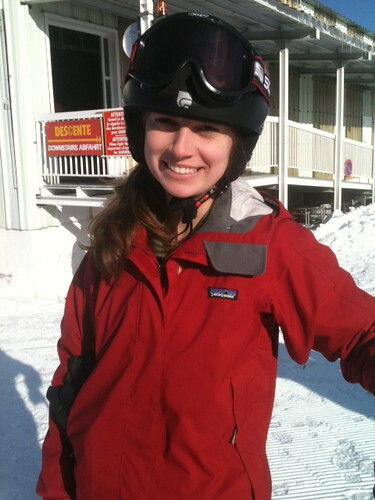 We ate breakfast and sipped mugs of coffee and then all bundled up for a day of skiing. 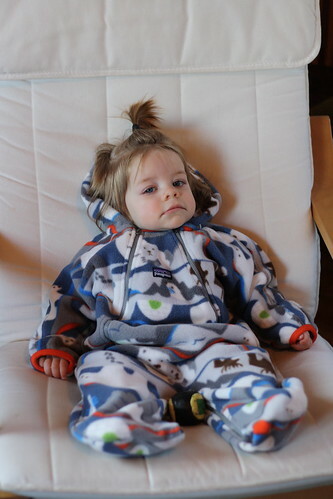 Lena also bundled up for various adventures such as playing in the snow, visiting a local boulagerie for pain au chocolat, or going on walks around town. More photos of those activities later this week. 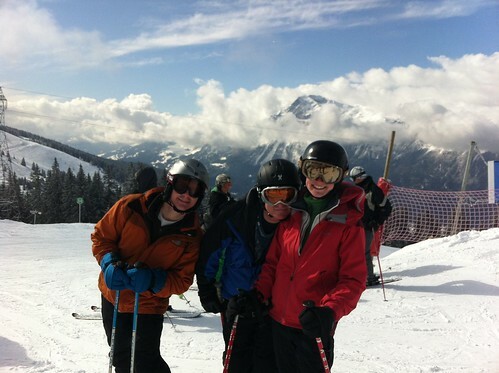 Once on top, we snapped into our skis and prepared to hit the slopes. L to R: Elliott, Julia, me. Look how beautiful it is! 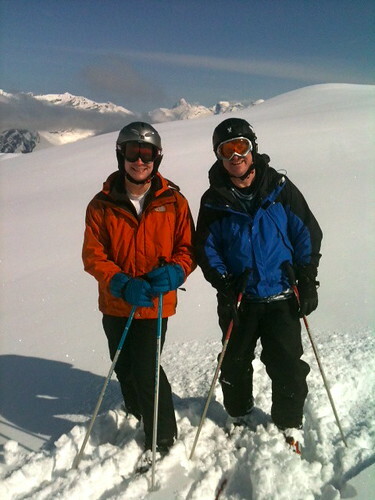 Elliott and I love to ski; we've skiied together since we first met in Boston and have covered many slopes in New England; Colorado; and Tahoe, California (on our honeymoon). 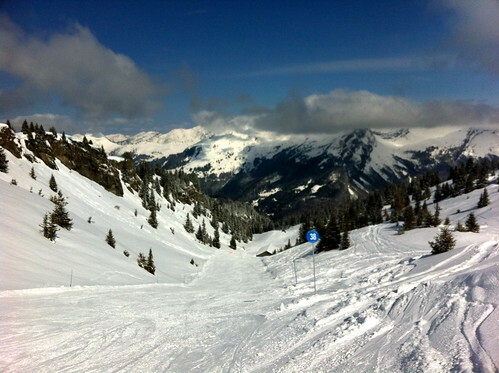 Nothing we've seen compared to the quality and natural beauty of these slopes. 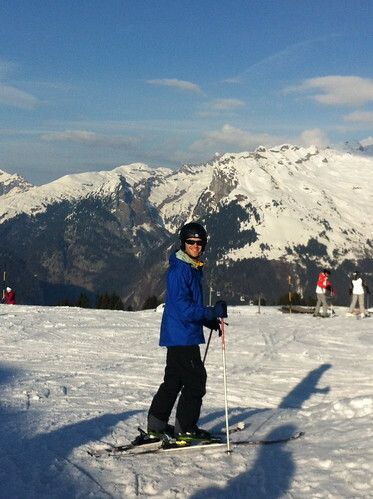 One day my family covered a nine-mile-long piste that started in Switzerland and ran all the way into France! We all agreed about that! 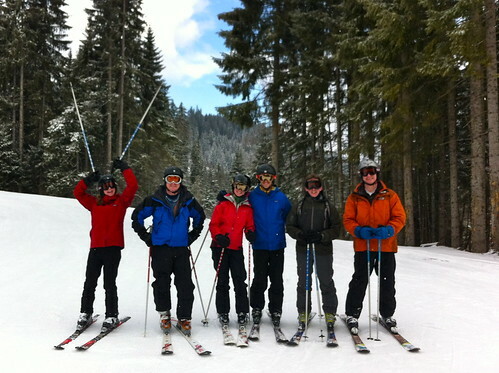 Pictured below L to R: Emily, my dad, me, Elliott, Daniel, Eric. It snowed twice while we were there, leaving behind a thick layer of fresh snow. 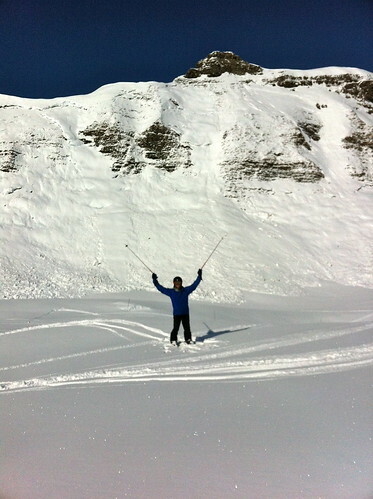 All of us loved skiing "off piste," or off the trails onto the fresh snow, like Elliott is doing below. We found a great green-level run that wound slowly down through the woods; the gentle slope and abundance of trees and snow meant we were blazing trails in the woods almost as much as we were on the piste! 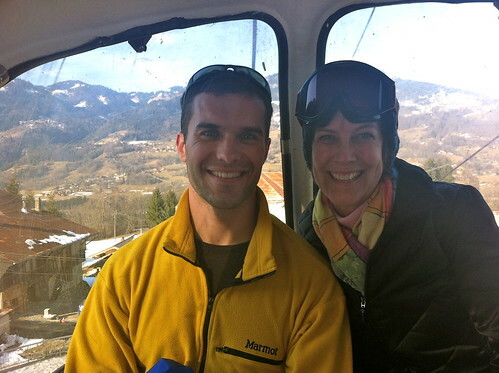 We spent plenty of time on the ski lifts and standing in line for ski lifts. 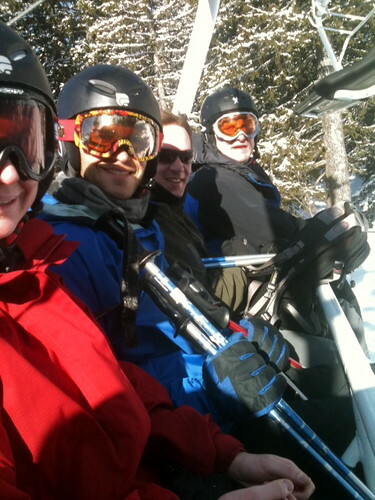 And, in general, not holding up the ski lifts with our antics. In general. We also always looked forward to a long lunch break. Even our homemade sandwiches were fancier in France: fresh baguettes from the boulangerie, cured meats, and Camembert cheese. And chocolate. Lots of chocolate. For energy. 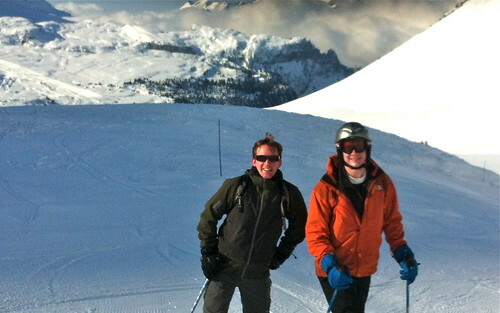 We pretty much always skiied together, accommodating everyone's various ski levels. Along the way there was plenty of laughter, lots of skiing tips thrown back and forth, and exciting discoveries being made every minute as our skills improved with our knowledge of the mountains. Check back tomorrow for some photos of the boulangerie we visited religiously each morning! Chere Becca, nous aimons beaucoup vos photos! La France est magnifique! 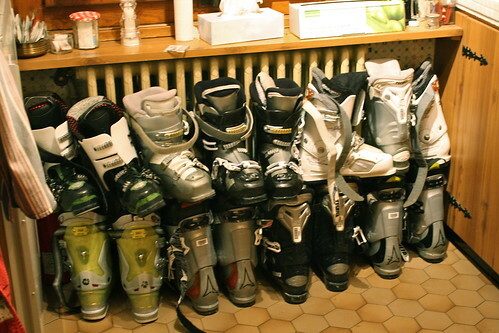 Moi j'aime skier= I love to ski! Thanks for capturing that trip so winsomely. You help us to savor the great, great memories. I have loved reading all these posts! Also, did I ever tell you that I grew up in Lake Tahoe?!? So crazy that you went there for your honeymoon! We must compare notes when I see you...in less than two weeks! Hooray!